Bangalore, June 4th, 2018: Close on the heels of the success of Indya stores in Delhi, Bangalore and Chennai, High Street Essentials Pvt Ltd (HSE) has launched its first exclusive brand outlet for FabAlley and seventh for Indya at Commercial Street, Bangalore. Spread across a sprawling 2250 sq ft, this Bangalore store is the company’s largest outlet so far. 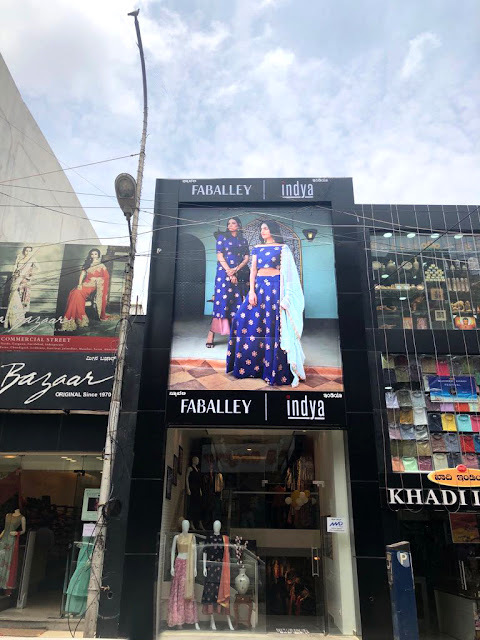 Since Bangalore is a fashion-forward market and one of the top cities for FabAlley, the company saw it fit to spread their wings and open their second EBO location there. A whole new experience awaits the customers at the Commercial Street store, where they can familiarize themselves with the brands and their offerings. Spread over three floors, the store will display Indya’s collection on the ground floor and the first floor will have FabAlley’s collection. To add to the overall customer experience, the brand will also have a lounge area on the second floor where on booking a prior appointment with the stylist, customers can enjoy a customized shopping experience with FabAlley’s trained personal shoppers. The store will give a chance to young women to get familiar with the brands and get access to western wear as well as fusion wear at the same location. The idea is to give customers an experience before they swipe their cards. While a major chunk of the company’s revenue comes from its online channels, offline sales from the 6 Indya stores and more than 70 shop-in-shops at Future Group’s Central are also picking up. HSE’s first exclusive Indya store was launched in Bangalore in July 2017. The company recently raised INR 5 crore in venture debt from Trifecta Capital and plans to deploy these funds primarily for offline expansion.